The Indigenous People of Biafra (IPOB) and those who read the haphazardly written statements from this ill informed quota-system Col. Aminu Iliyahsu are left wondering how on the one hand he stated that IPOB conducted a rally in support of President Trump while on the other hand, he called it a “protest.“ For instance, the illiterate quota-system Col. Aminu Iliyasu stated that “members of the group were mobilised from Abia, Anambra, Enugu, Imo and Cross River States for an alleged rally“ while at the same time he noted that “the violent protest was subsequently subdued with the use of tear gas.“ So what exact information is the quota-system Col. Aminu Iliyasu trying to convey as he uses both “rally“ and “protest“ in one breath? This ignorant quota-system Colonel must understand that a rally or even a protest is not an “armed rebellion“ that will warrant deployment of “troops of 29 Battalion of Nigerian Army“ with a mandate to fire live bullets at peaceful and unarmed civilians. May we ask this quota-system Col. Aminu Iliyasu why the same deployment of troops with the mandate to slaughter, was not carried out on those who protested against President Trump in Abuja and Abuja on the same date? How come troops were not deployed to shoot and kill civilians during the recent “anti-Buhari“ protest that was led by the likes of Charles Oputa a.k.a. Charlie Boy? Why must the Hausa Fulani dominated Islamic Nigerian Army and Police regard every IPOB assembly or rally as an opportunity to embark upon some kind of mini Jihad designed to kill as many non Muslims as possible? The greatest and best highlight of the pack of lies in the statement by the confused quota-system Colonel is where he stated that “it is however worrisome and disturbing for anyone to falsely accuse troops deployed in support of civil authority who conducted their duty professionally under the beaming lenses of cameras of allegedly killing 11 citizens of our great country.“ IPOB is extremely pleased that the quota-system Col. Aminu Iliyasu is aware that what transpired that day was captured on pictures and videos as most of the unspeakable atrocities of the Nigerian Army and police are. 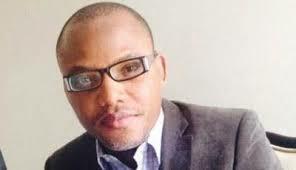 On his insinuation, borne out of panic, that IPOB will post “old vidoes and pictures from our archives“ in social media, we advice the quota-system Colonel not to worry but to leave the authentication of the evidence we have to the civilised panel of Judges at the International Criminal Court (ICC). It is reassuring to observe that at least the lying Nigerian Army is aware that all their murderous outrage on the 20th of January 2017 were captured on video. The quota-system Col. Aminu Iliyasu and his co-murderers should be more concerned with how to fortify their defence before the Judges at ICC in The Hague.